We are always on the lookout for businesses, organizations and individuals who believe kindness and integrity are at the heart of a good brand. Fortune 500s who treat their employees with the same respect as their customers create stronger brand loyalty. Non-profits who recognize when people gather together and listen with open hearts investments grow deeper and fundraising soars higher. And entrepreneurs who see that by leading with kindness creates an audience who follows by example. This holiday season we would like to recognize one of our favorite organizations which we believe is among the kindest of them all…Edgar’s Mission. Established in 2003, Edgar’s Mission seeks to create a humane and just world, while rescuing and providing sanctuary to animals in need. With a simple mission of kindness Edgar’s Mission works to expand the public’s circle of compassion to include all animals through education, advocacy, community enrichment, and farm tours. 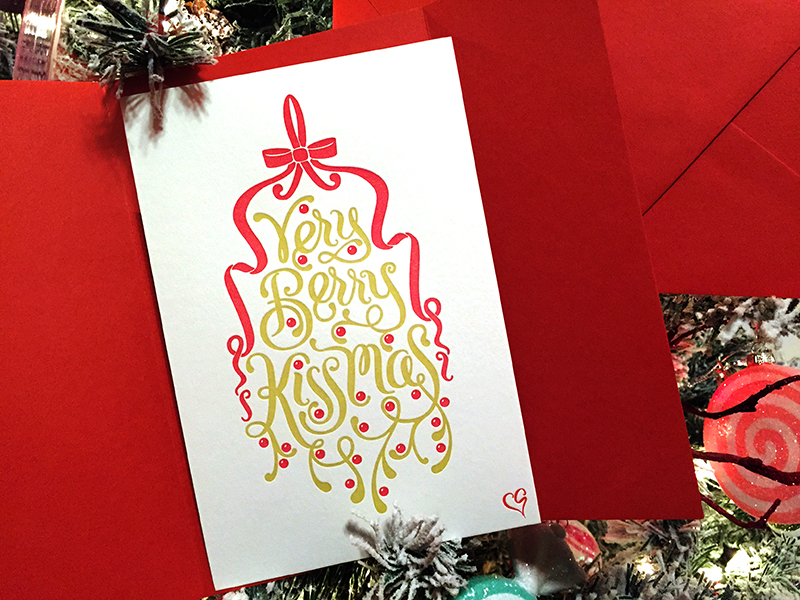 In an effort to raise awareness to their organization, and a few fundraising dollars as well, we are offering a limited number of our “Kissmas” greeting cards just in time for the 2015 holiday season. These 5.25″ x 8″ single sided cards, designed by Cheryl Savala, are beautifully letterpressed by our friends at The Paper Mint Press. 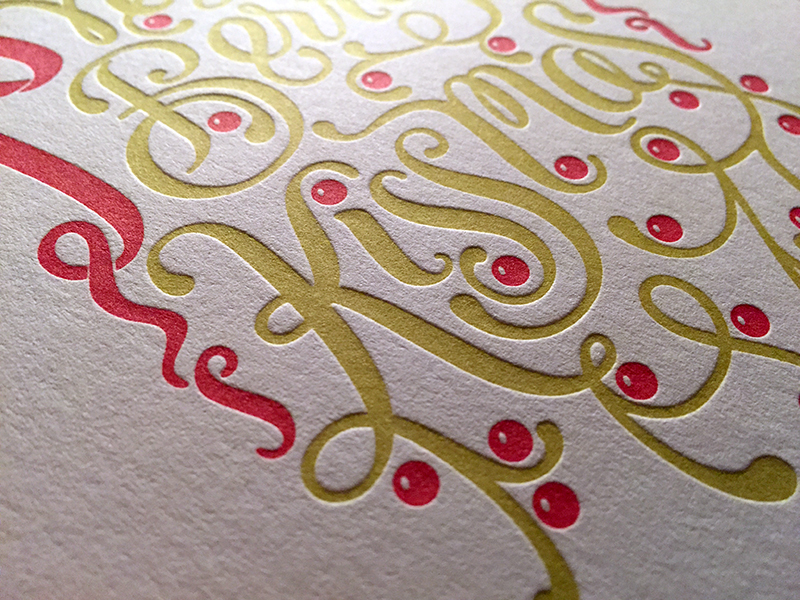 Each card comes wrapped in either a poppy red or chartreuse green trifold and envelope and is available for purchase only for a very limited time. This was a very limited press run so once they’re gone, they’re gone. Cards are available for $15/each with all sales proceeds (less shipping) forwarded to Edgar’s Mission so they may continue providing shelter and direct care for homeless, abused, injured or abandoned animals. Email us at lovetheworld@menageriecreative.com and include “A Very Berry Kissmas for Edgar’s Mission” in the subject line and we’ll follow up with payment and shipping details.